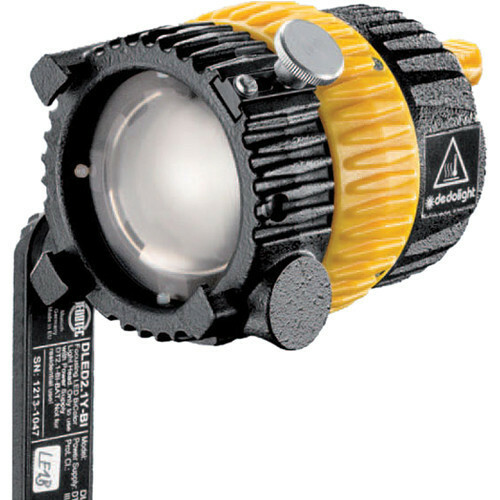 The Dedolight DLED2.1YHSM-D Daylight LED Light Head is a focusable LED light with a high CRI of >91 and a yoke with shoe mount and separate power supply for mounting. This model is daylight-balanced at 5,600K for providing a quality light that can be used in a wide range of situations, especially with the ability to focus the beam angle from 50 to 5°. The light is dimmable without any color shift and offers tilt control with adjustable friction.